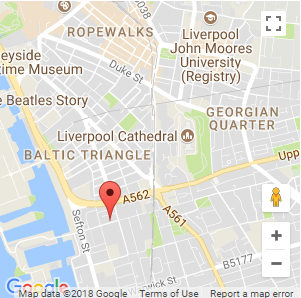 The Gallery Liverpool is an arts space in the heart of the city's creative community, The Baltic Triangle. We curate celebratory exhibitions featuring predominantly older under-valued artists, photographers and designers to engage a wider audience. We also work extensively with the LGBT creative community. Music, performance and discussion are integral to what we do with exhibition soundtracks produced by Marc Almond and Jarvis Cocker. Performances by Patrick Wolf and Andrew Logan. Talks by David McAlmont, Sheila Rock, Glen Matlock and Corinne Drewery.